Time for a bake-off. This baking spices set takes your cooking in a flavorful new direction. 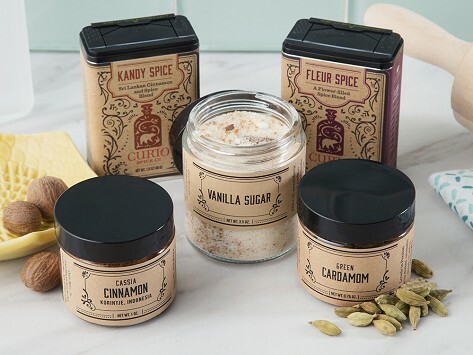 Curio Spice Co.’s signature spice blends combine interesting flavor combinations (pink pepper, rose, and ylang ylang, anyone?) and pair up with tried-and-true baking staples like cinnamon and nutmeg. Recipe cards are included for inspiration and it is all directly sourced from growers and farms to ensure freshness and purity.